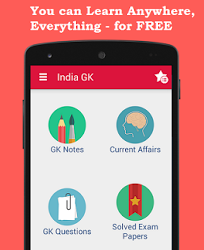 15th, 16th December 2016 Current Affairs MCQs, Quiz, Questions: Current Affairs for December 2016, Daily Multiple Choice Questions (MCQs) for India GK, World GK and current affairs with Collection of daily objective type Question by www.Indiagk.net based on General Knowledge (GK) and General Science (GS) Questions for UPSC, State PSC, SSC, Police exam, Railway exam, SBI, Bank PO, IBPC, SSC, LDC, UDC, Army, Airforce, Navy, Coast Guard, Bank Clerk, TET and all entrance examination with current affairs News, Multiple Choice Questions (MCQs) available on Website www.IndiaGK.net and Android Apps with daily updates:. Who bans liquor shops on national, state highways across India on 15th December ? What is the India’s rank in the defence spending as per recently report? Who launches Lucky Grahak Yojana and Digi-Dhan Vyapar Yojana on 15th December 2016? Who has been appointed LIC Chairman on 15th Dec 2016? Pakistan and Russia held their first ever consultation on 14th Dec at which city? Rights of Persons with Disabilities Bill 2016 replaces which act?